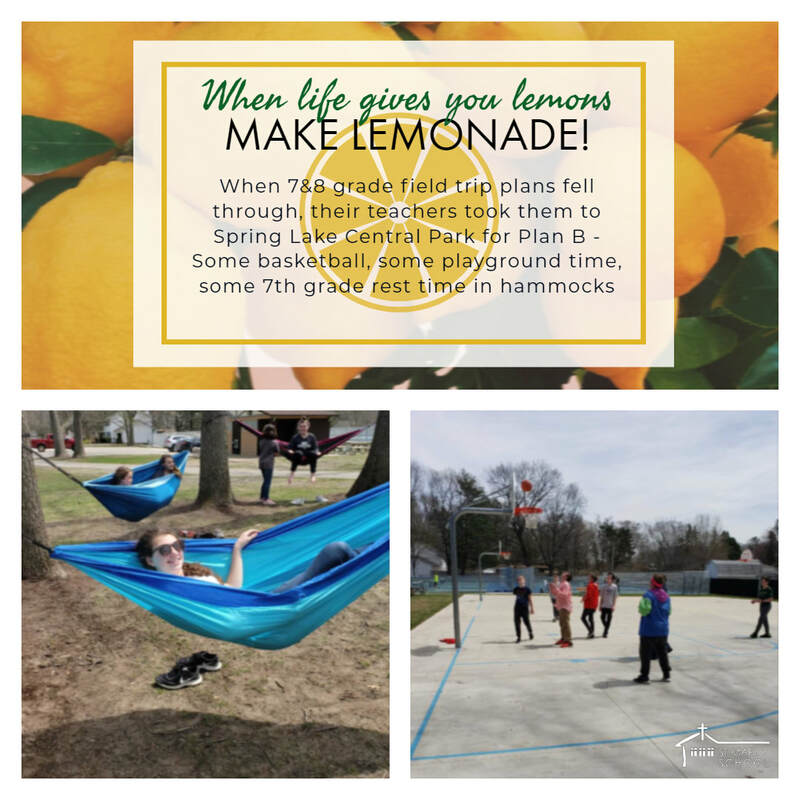 7th & 8th Grade FUN! 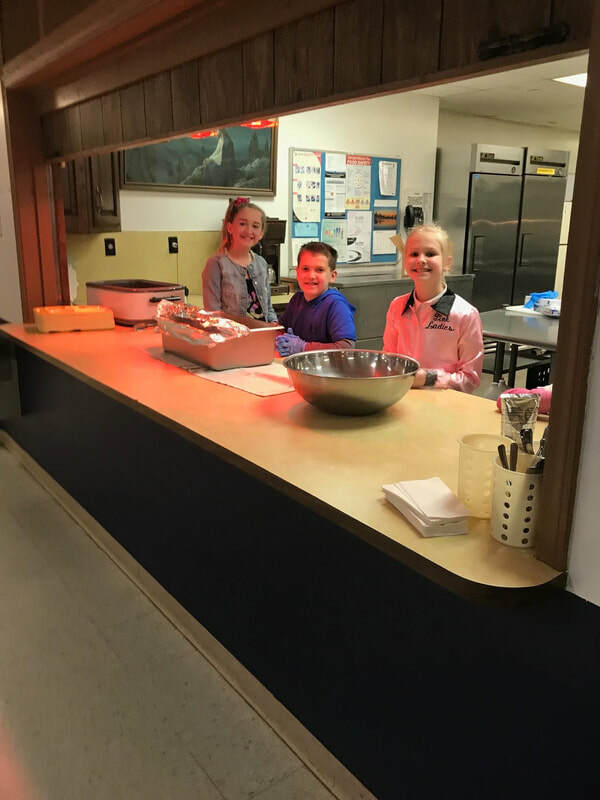 THANK YOU St. Mary's Student Council for the delicious pancake breakfast this morning! 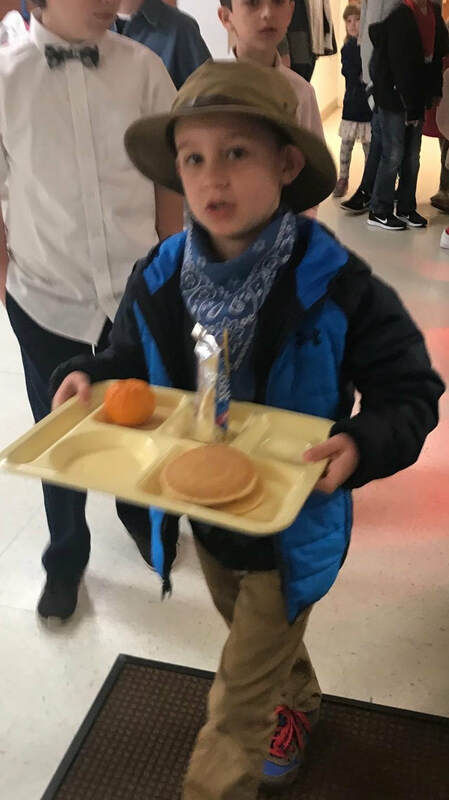 Pancakes, sausage, juice and fruit was on the menu this morning - a great way to start ERA Day! Openings are still available in our NEW Kindergarten Prep Classroom. CHOOSE BETWEEN 4 OR 5 DAY WEEK FOR YOUR CHILD! 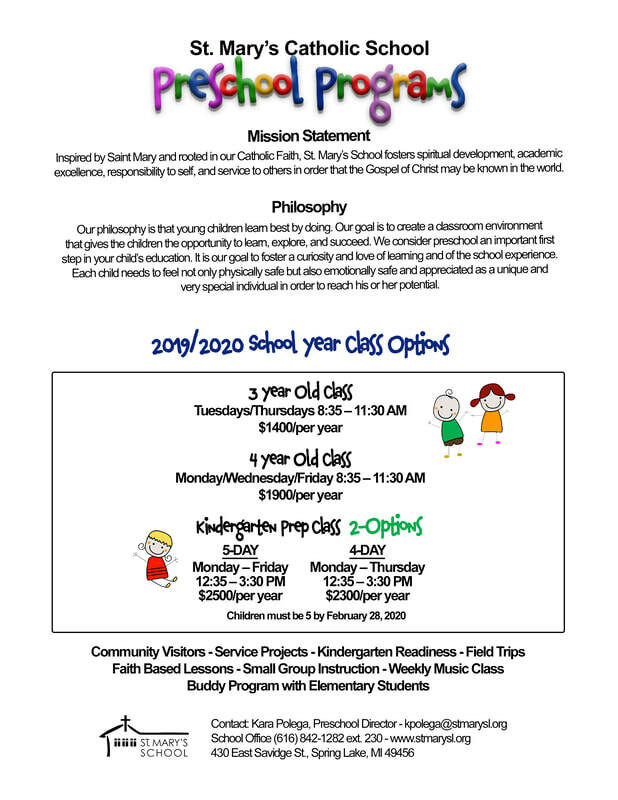 2019/2020 Preschool Registration is nearing capacity in our 3 year-old and 4 year-old morning class. Openings are still available in our NEW Kindergarten Prep Classroom. 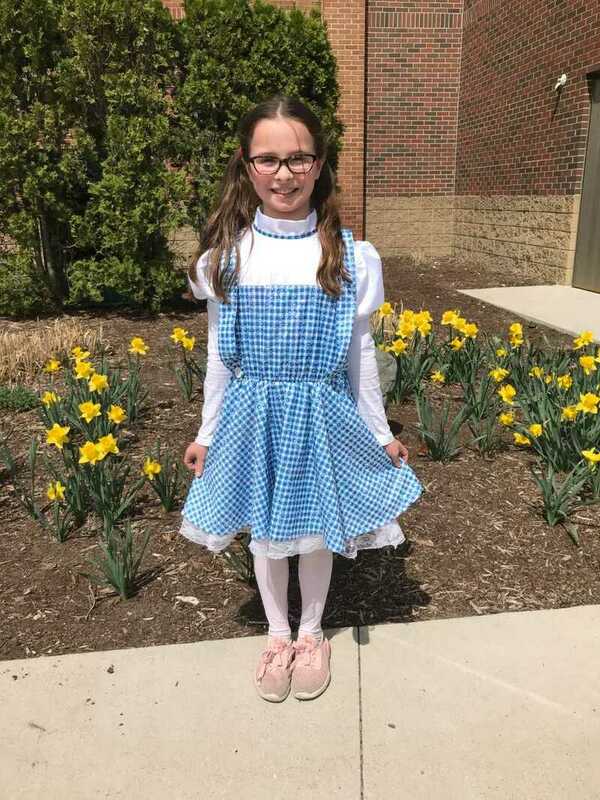 ​CHOOSE BETWEEN 4 OR 5 DAY WEEK FOR YOUR CHILD! *****Reserve your spot today! 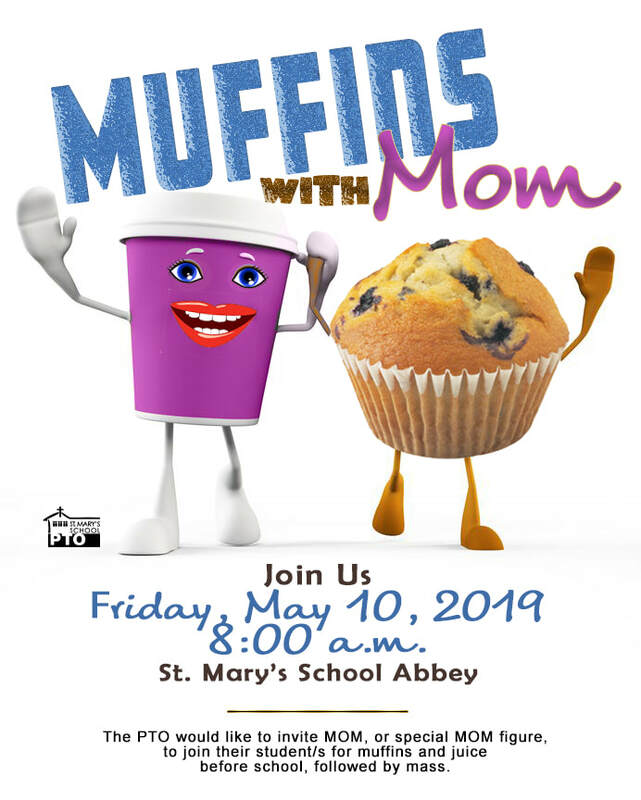 2019/2020 St. Mary's Preschool - 8th Grade Registration is open! We invite anyone interested in seeing our beautiful school to call ahead or just stop by while school is in session. 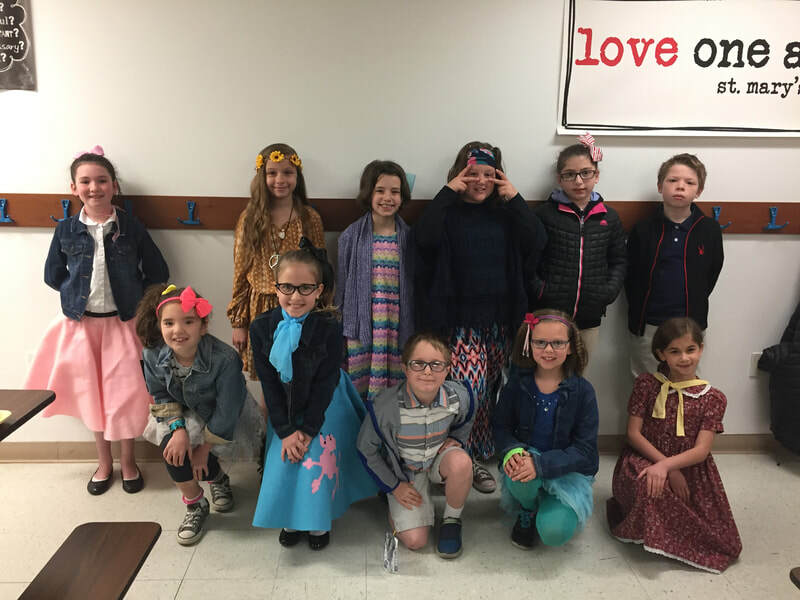 We'd love to show you how we teach the Catholic faith along with all the other core subjects each day. 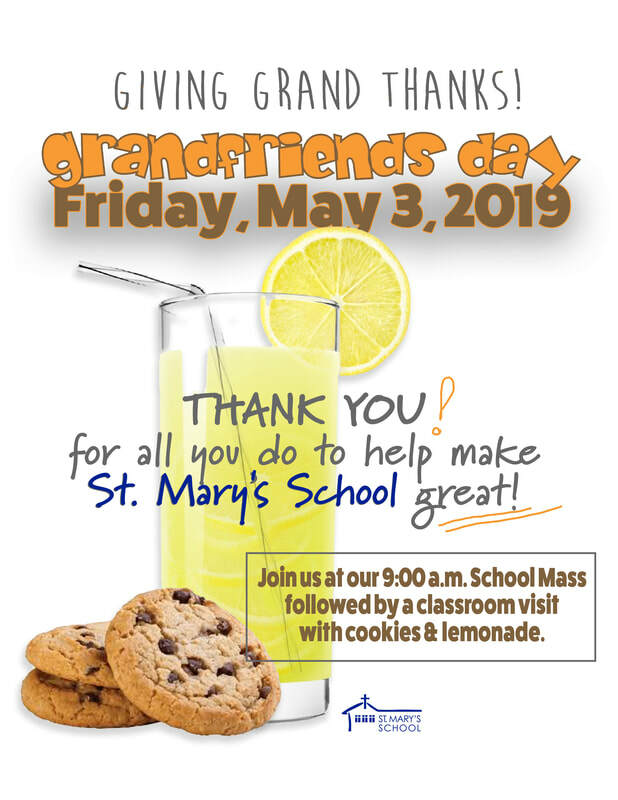 Contact us by email: schooloffice@stmarysl.org or call 616-842-1282. 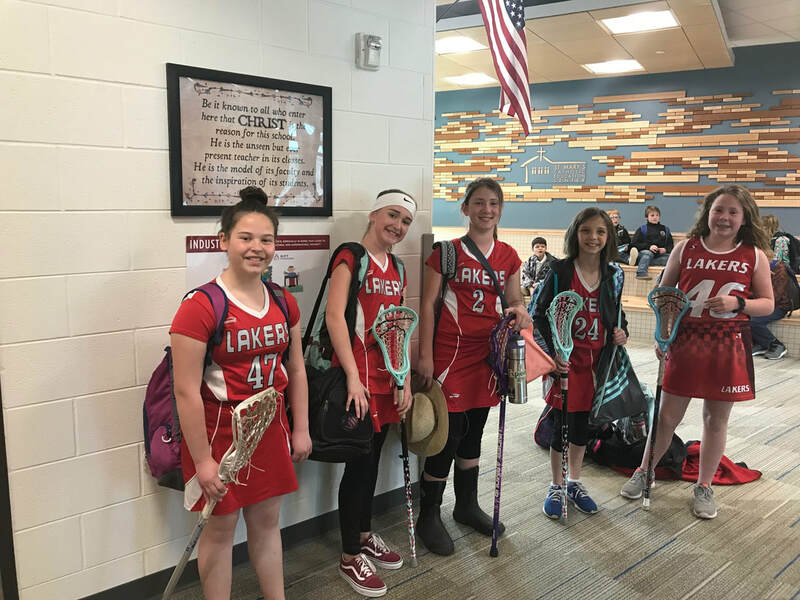 It's game day for these St. Mary's School student Lakers! 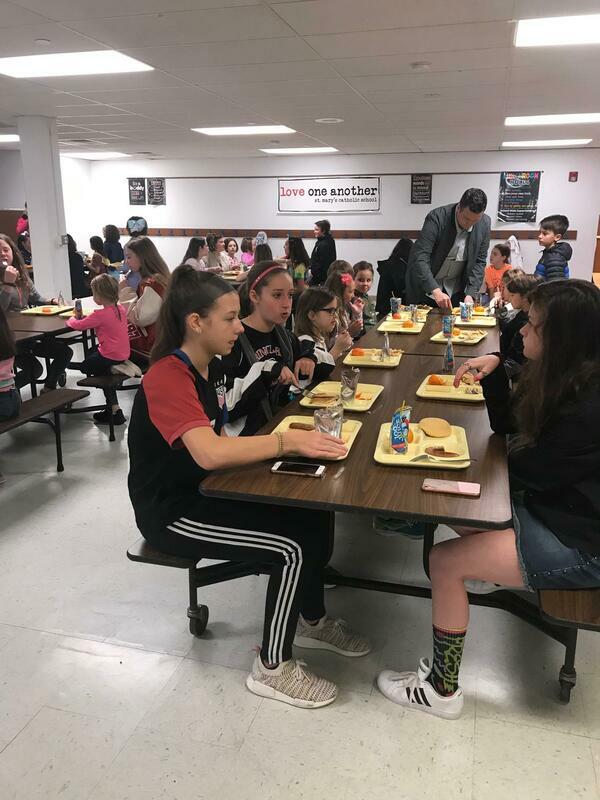 in neighboring school districts - Track/Tennis/Lacrosse/Softball/Football/Cross Country/Ski Club/and more! Plus, our very own St. Mary's School basketball teams for both boys and girls in the 5th - 8th grade. 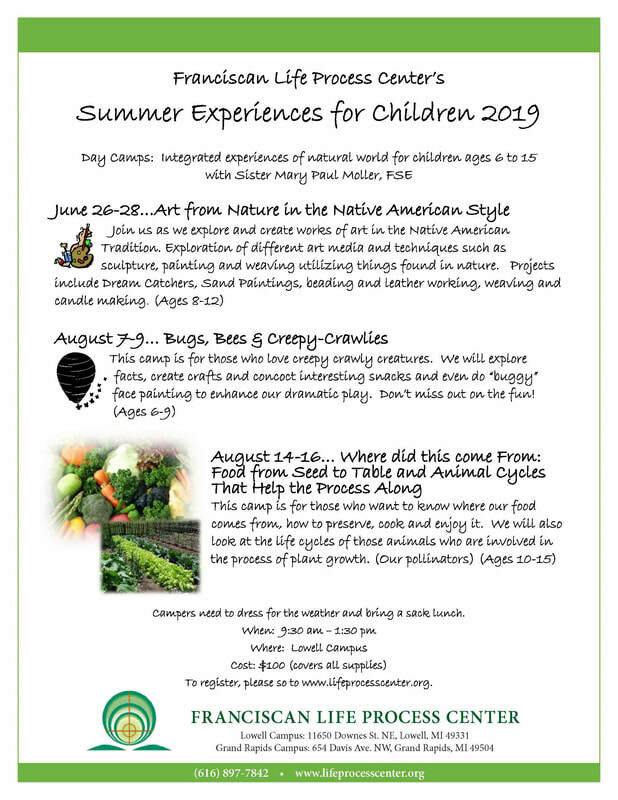 Franciscan Life Process Center’s Summer Experiences Day Camp for Children Ages 6-15. Once the presentation begins no one will be allowed to enter. ​Please arrive early - there is a brief sign-in procedure. University of Detroit Mercy is offering a series of summer programs. 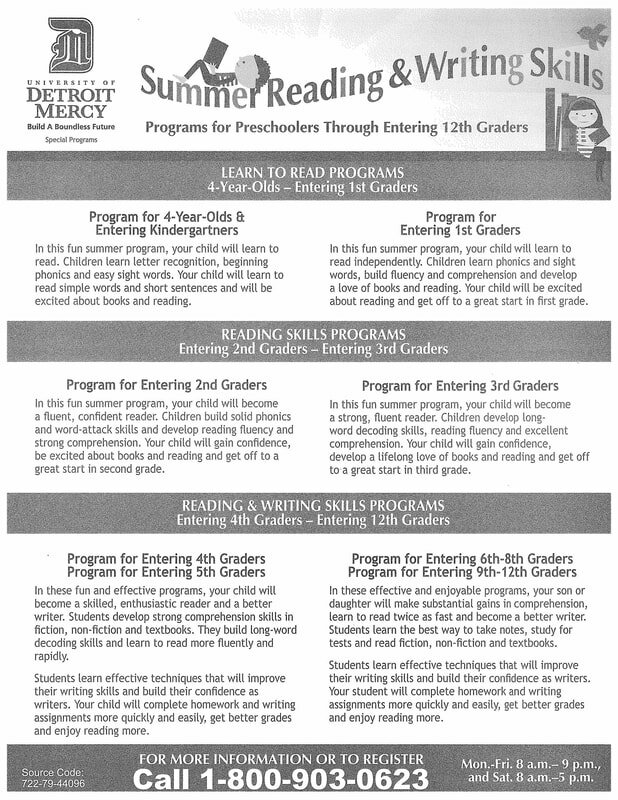 University of Detroit Mercy is offering a series of summer programs designed to improve reading and study skills, and stimulate greater interest in reading. See flyer for more information! 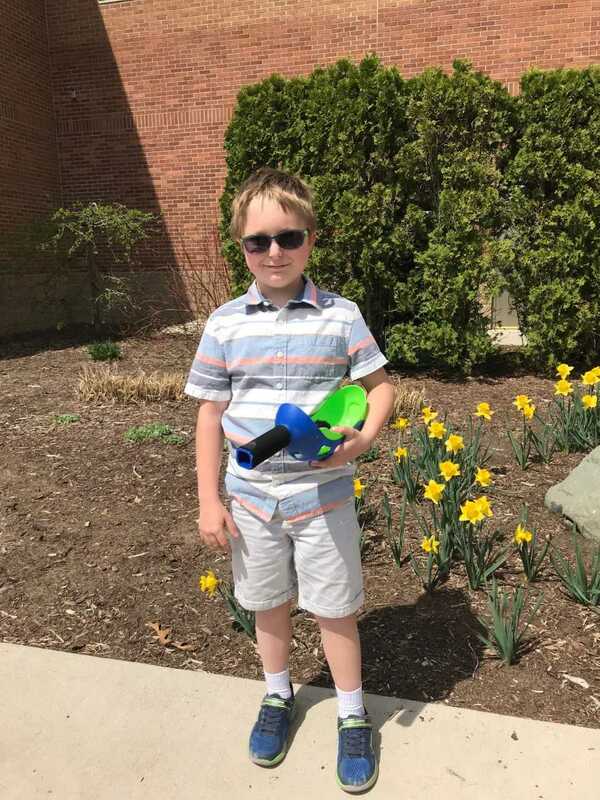 Hope College Summer Science Camps for all ages! 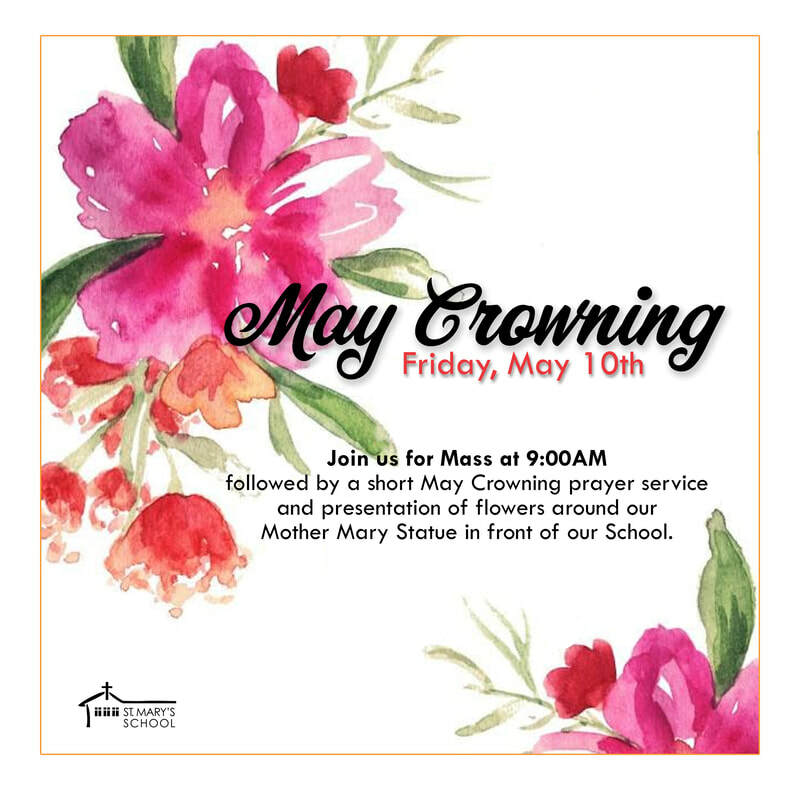 Join us at our 9:00AM school Mass on Friday, May 10th followed by a short May Crowning Prayer Service and presentation of flowers around our Mother Mary Statue in front of our School. Are you interested in mathematics? (FREE!) Davenport University Math Camp. 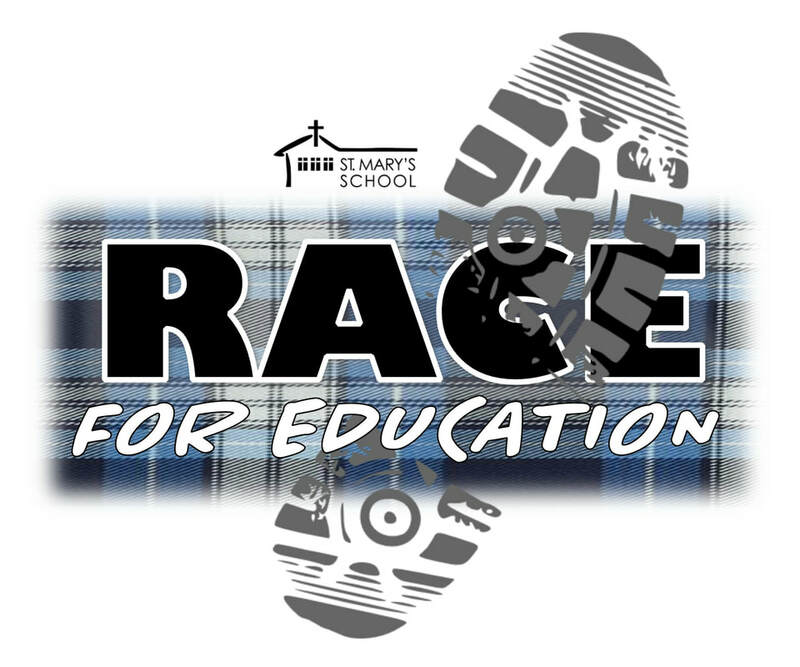 For students entering grades 6-9. Lunch is provided. Protect Young Eyes Presentation Follow-up. 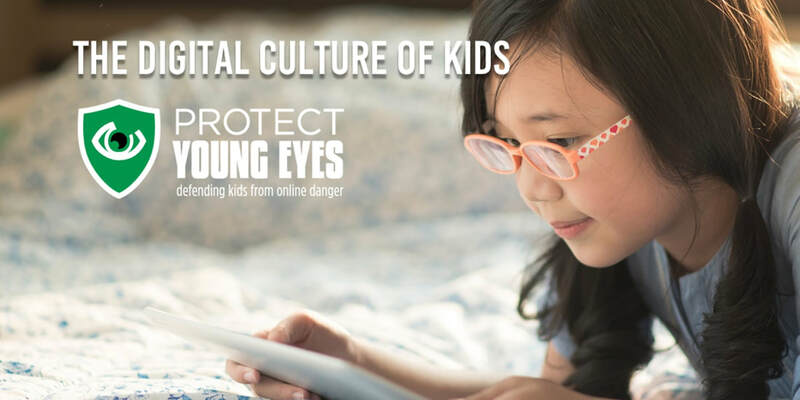 It's been a little over a month since our 'The Protect Young Eyes' presentation. Below are some helpful links to stay informed in the digital age to be observant, engaged, and informed. or by texting the word "protect" (no quotes) to 66866 and follow the prompts. "Like" their Facebook page by clicking here: https://wwwfacebook.com/protectyoungeyes/. 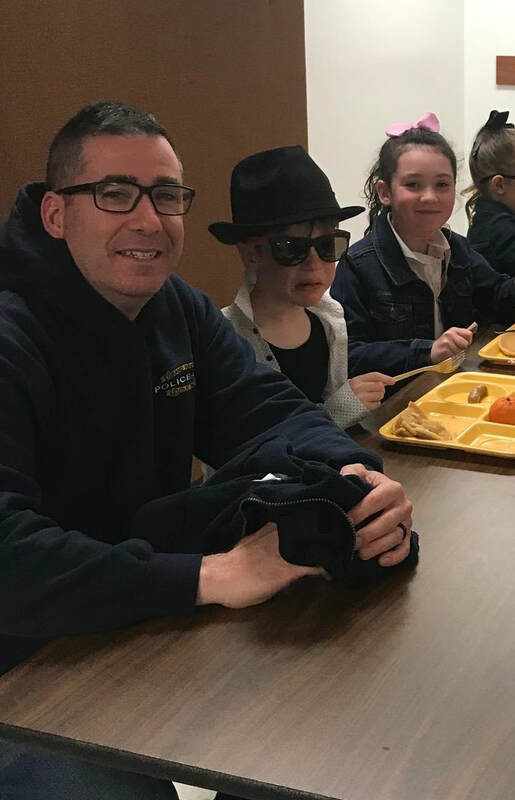 If you missed the presentation, parents can visit their website, built with families in mind, at https://protectyoungeyes.com/blog. 7th graders measuring wind speeds with their homemade anemometers. 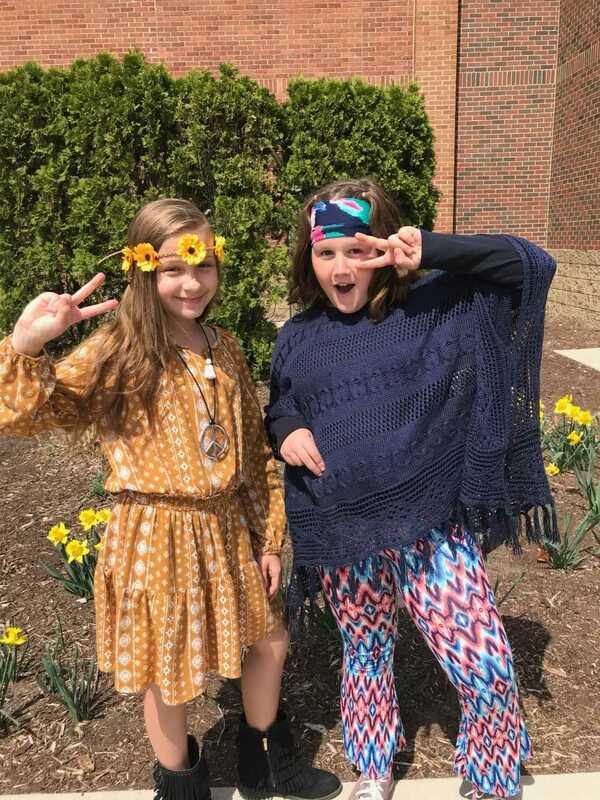 On this cool and breezy April morning, Mrs. Giroux's 7th Graders went outside to measure wind speed with their homemade anemometers. 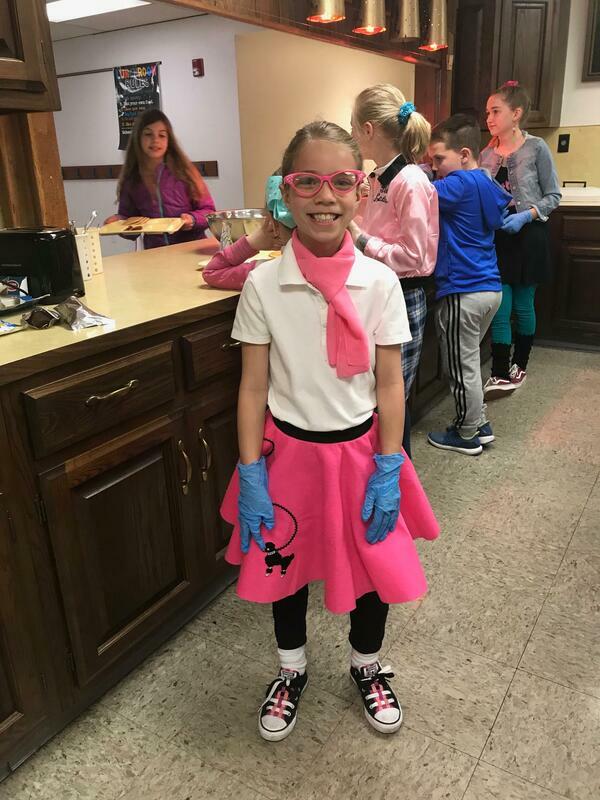 St. Mary's School COOL SCHOOLS FUNDRAISER at Front Porch is Monday, April 29! 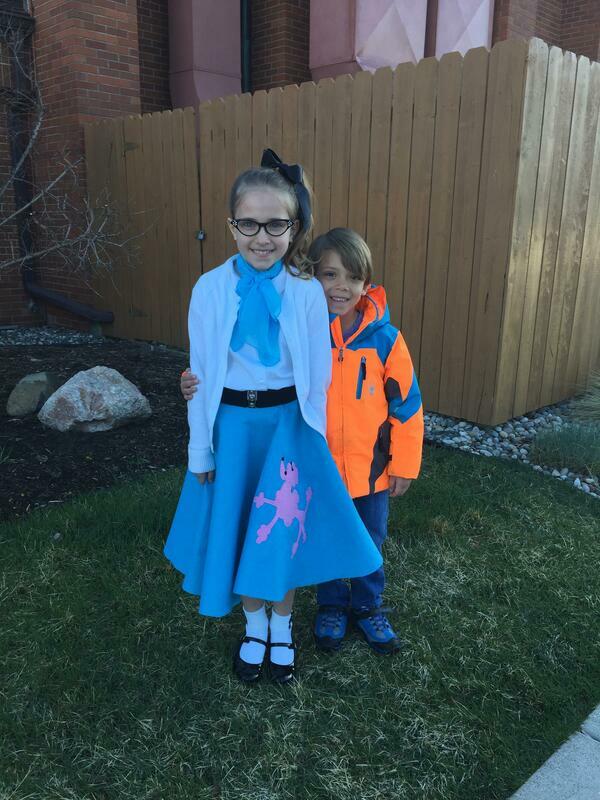 St. Mary's School Cool Schools fundraiser at FRONT PORCH in Spring Lake. 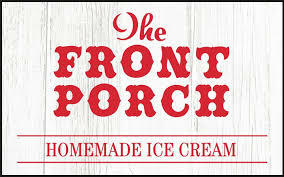 Plan your family outing for some ice cream on Monday, April 29 at the Front Porch - St. Mary's School will benefit from your purchase that day! Friday will also be a 1/2 day of school with dismissal at noon. THANK YOU for an incredible 22nd Annual Tri-Cities Unity Auction! for K-5th. 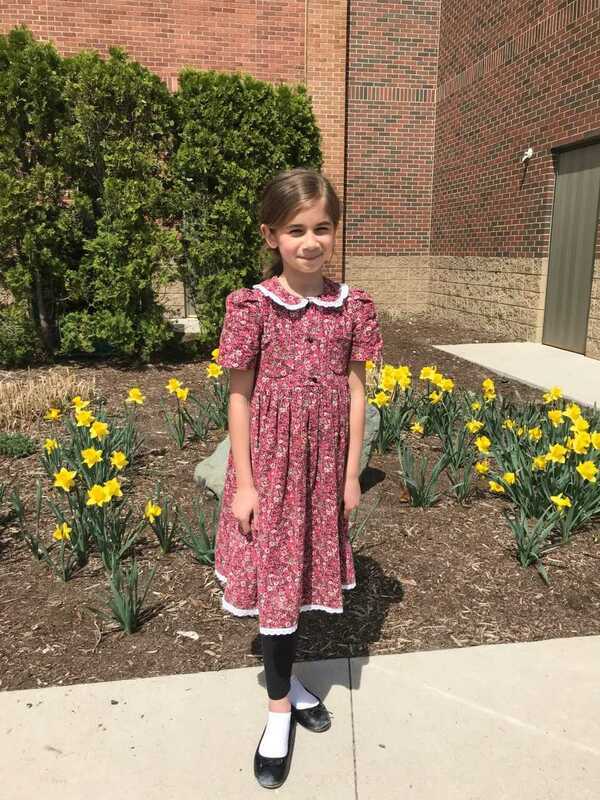 St. Mary’s Vacation Bible School, Jonah, Chapter 5: More than a Whale of a Tale, is an original, one of a kind experience! 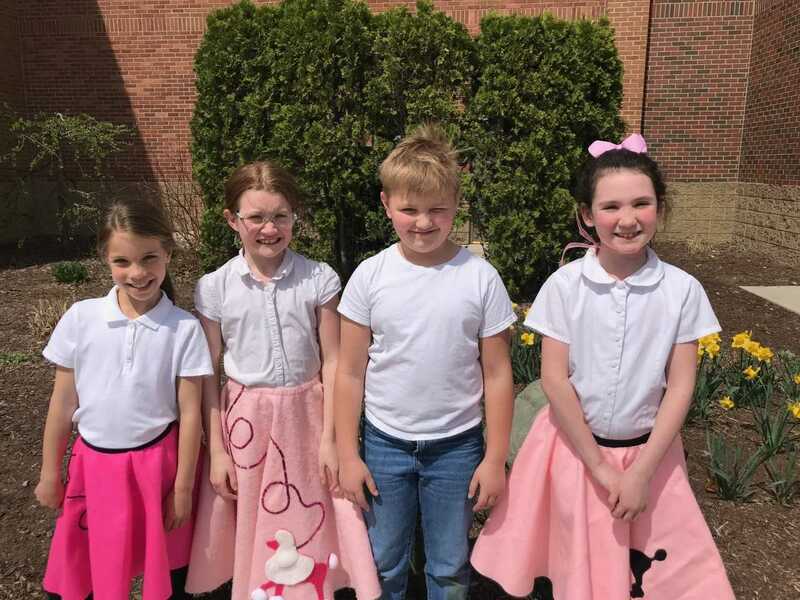 It will be a faith-filled week full of fun, music, adventure, movement, and art. 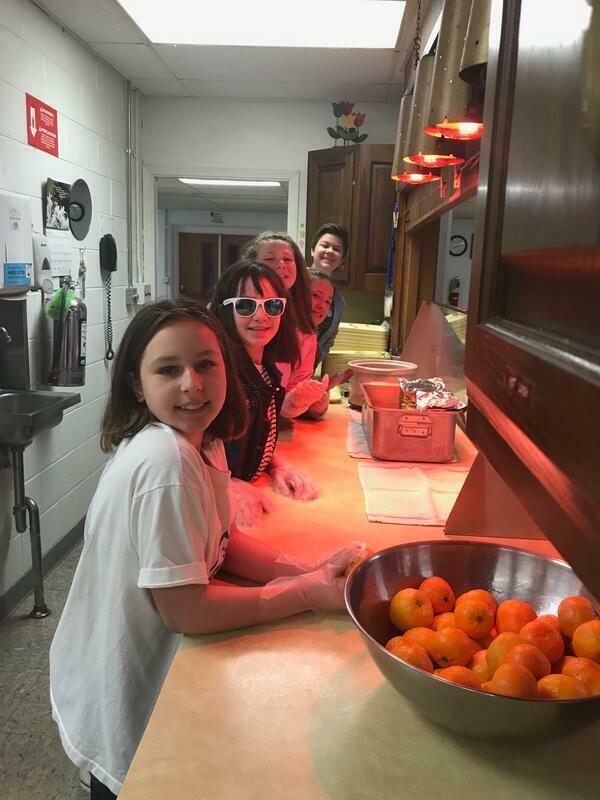 Volunteers (adult and teen) are needed. As always, children or grandchildren of volunteers get to attend for FREE! 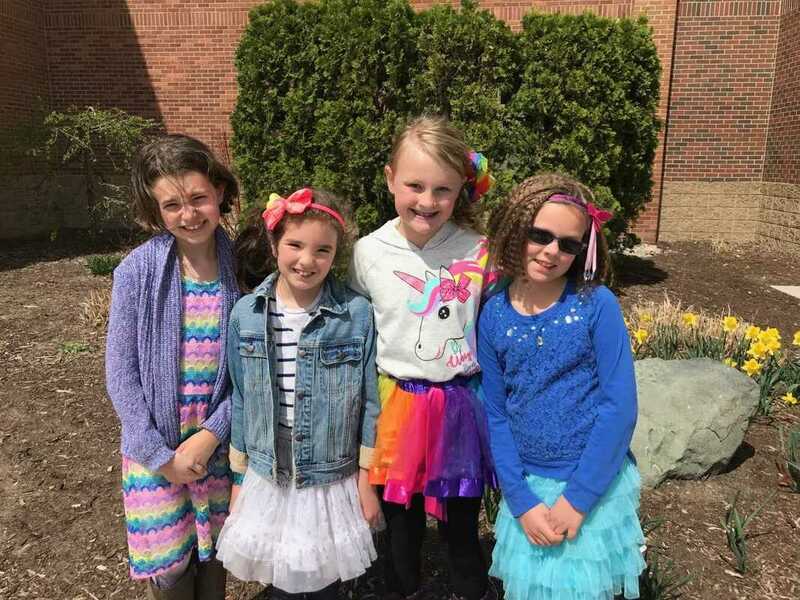 ST. MARY'S SCHOOL ANNUAL 'BLUE OUT'! Thursday, April 11th from 6:30pm-8pm in the gym. 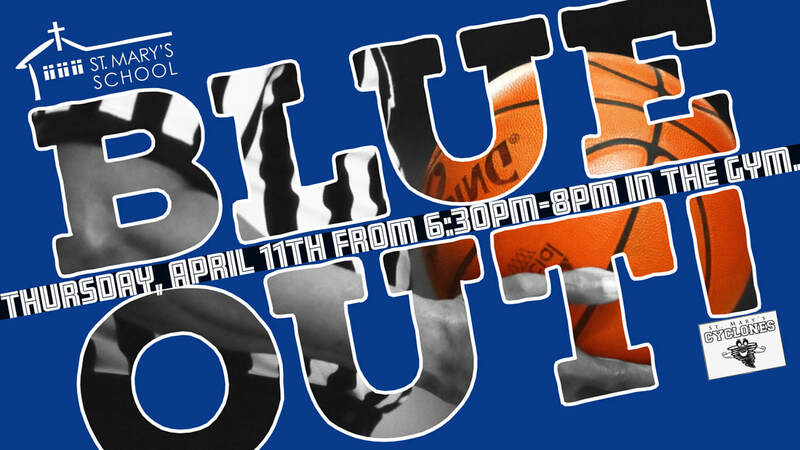 Our BLUE OUT is where we play an inter-school game of basketball that includes the 7th and 8th grade teams. The kids that played on the 7th/8th grade boys' and girls' team will be placed on either the 'Blue' team, or 'White' team. It is a fun way for the kids to end the season and a way to recognize our 8th graders before they graduate in May. We will have a SHOOTING CONTEST at half-time, so bring the kids out to shoot! 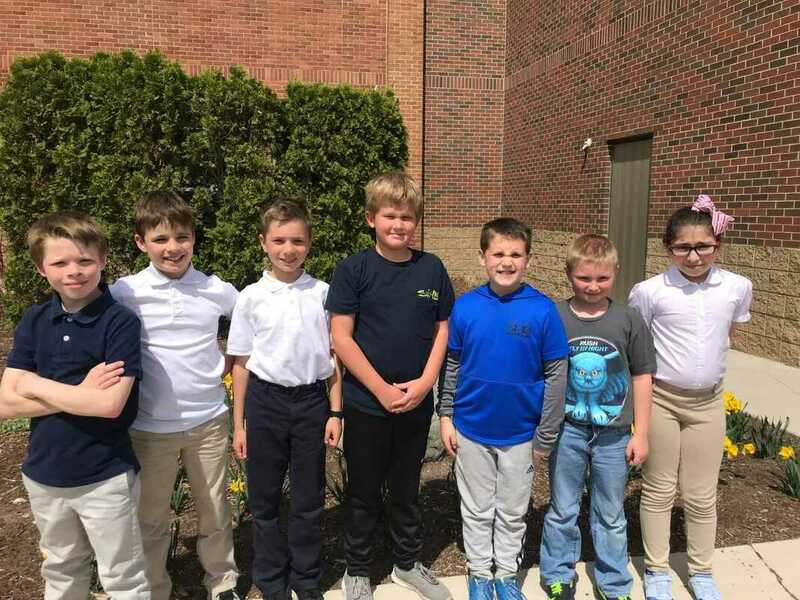 It is fun for the kids to play one last game with their peers, and it is more fun if there is a crowd to cheer them on. 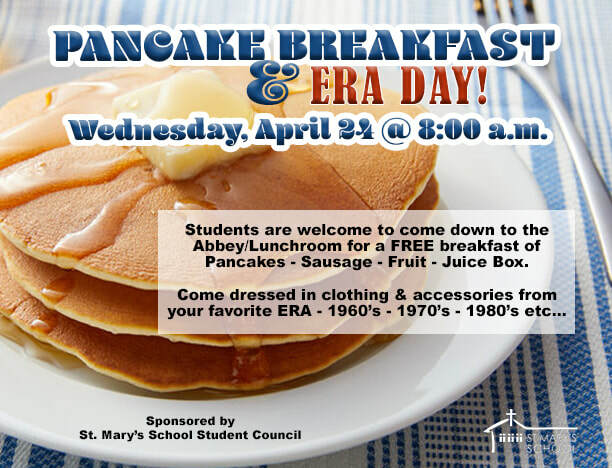 ​WE WOULD LOVE TO SEE YOU ALL THERE, CURRENT, AND FUTURE CYCLONES! 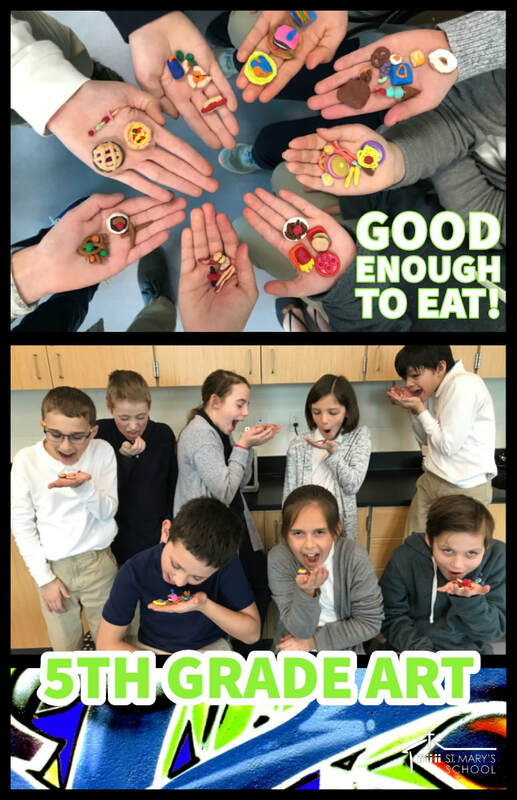 Our 5th graders in Miss Osterman's art class made realistic miniature clay food that will leave you very hungry! 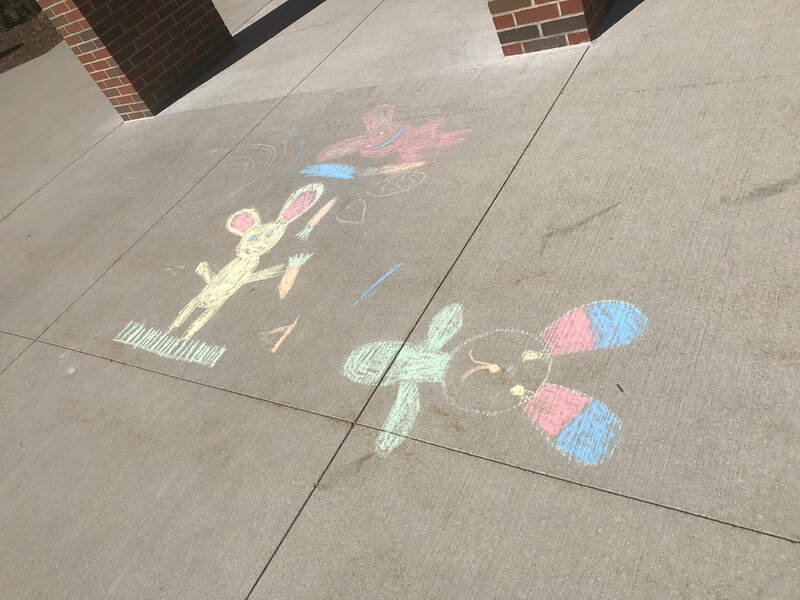 Sunshine and warm temperatures brought a visit from these sweet little bunnies during recess yesterday! Our LOST & FOUND box in our School Lobby is full! 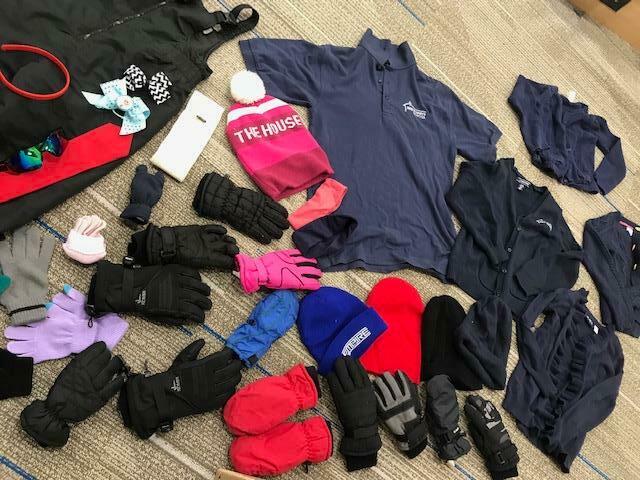 Our lost and found box in the school lobby is full! Please zoom in on the photos and see if you recognize something you may be missing.